Some people find ear plugs as comfortable devices that work efficiently for reducing noise. While some are designed for multiple use, long-term usage of ear plugs can lead to some infections. There are also those people who don’t feel comfortable wearing ear plugs. If you’re a light sleeper and live close to a noisy highway or someone looking for a comfortable noise-reduction device, we’ve listed down all the possible alternatives to ear plugs you can use. Many people who use ear plugs do so to improve their sleep. If you’re looking to get a better night’s rest but you’d prefer not to use ear plugs, one of these solutions might be just what you’re looking for. Making more noise might seem counterintuitive to light sleepers, but this time-tested sleep aid really works. The kinds of noises that jolt you awake are typically sudden and jarring. White noise, on the other hand, is an even distribution of noise over all audible frequencies. That even distribution of sound has a masking effect that dampens the impact of the loud noises keeping you awake. Specialized devices like the ones from Aurola complement their white noise with soothing sounds like rainfall or ocean waves, but white noise can be produced by machinery as simple as a regular box fan or an AM radio tuned to static. There are even white noise apps available for smartphones. If none of these options work, you might consider seeking out pink noise machines which replicate white noise with diminished volume at the highest frequencies. You probably already pack a sleeping mask for long plane rides. That might solve your lighting problems, but a sleeping mask won’t keep the baby a few rows up from crying through the night. 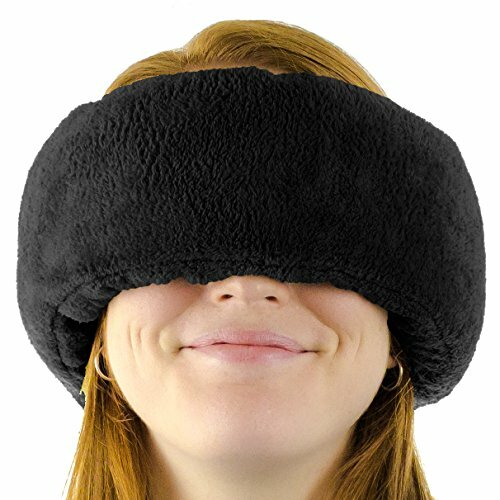 Your best option is to seek out sleep masks that incorporate ear muffs to cancel out both visual and auditory distractions. Some products, such as the Wrap-A-Nap, even incorporate pillow padding for maximum comfort. If you travel by air often, you already know just how valuable some extra padding can be. Snoring is a common problem for partners who share a bed. It’s difficult to sleep next to loud snoring, and it’s not just an issue for the snorer’s partner, either. Snoring can cause sleep apnea, a breathing condition which disrupts regular sleep. That means both partners wake up feeling exhausted. Fortunately, continuous positive airway pressure (CPAP) machines can solve both problems at once. Through a simple nasal mask, CPAP machines apply just enough pressure to the snorer’s airways to keep them open and prevent snoring. The machines typically produce soft white noise that makes it easier for both partners to fall asleep and stay asleep. Because it’s a medical device, a CPAP machine typically requires a doctor’s prescription. If the price of a CPAP machine is prohibitive or if the snoring partner is uncomfortable with the machine, something as simple as a medicated nasal strip might also reduce snoring. Unlike the machines listed above, this sleeping solution dates back to at least the 16th century. Four poster beds support canopies that muffle external sounds and provide both privacy and comfort to your bed. You can find gorgeous four poster beds in antique stores all around the world, but there are also contemporary options tailor-made to fit your home’s decor. You’ll want to dress your canopy bed with a curtain thick enough to muffle the sounds keeping you awake. If you’re looking to ditch ear plugs but you’re wary about technological solutions to your sleeping problems, a simple four poster bed could be the right choice for you. Even after you’ve unplugged every last gadget and gizmo in your home, you might still be putting up with noisy neighbors or a nearby street with high traffic. Those sounds could be leaking in through your windows and keeping you up all through the night. You might consider double glazing your windows, a technique that uses two panes of glass to increase insulation. This technique is especially good at blocking out higher frequency noises like loud music and human voices. As an added benefit, double glazed windows are safer because they’re harder to break. Many homeowners also find the increased insulation makes a sizable dent in their energy bills by maximizing the efficiency of their air conditioning and heating units. If your neighbors are particularly loud, there are triple glazing options available as well. Sometimes the thing disturbing your sleep makes itself known loud and clear, but other disruptions can be trickier to identify. If you can’t put your finger on the culprit behind your sleepless nights, jamming in a pair of ear plugs won’t solve your problems. You might consider visiting a sleep testing facility. Polysomnography, which is known colloquially as a sleep study, is designed to find the root cause of your sleep problems and point you towards real solutions. There are sleep testing facilities all over the country capable of giving you the answers you’re looking for. It never hurts to consult with an expert. If you’ve run through a laundry list of sleep solutions and you still can’t muffle the ringing in your ears, an audiologist might diagnose you with tinnitus or a related hearing disorder and work with you to find a solution. You might also consider consulting an audiologist to make sure that the noises keeping you up (or, in the case of white noise, the noises helping you stay asleep) aren’t causing any damage to your hearing. After all, hearing loss can be permanent. Consulting with an expert now could save you a lot of trouble down the road. Of course, ear plugs aren’t just for sleeping. People need noise reduction in a wide variety of circumstances. Whether you’re swimming laps on a summer’s day or spending an autumn evening at the gun range, there are great alternatives to ear plugs designed to suit your active lifestyle. Noise canceling headphones are a popular and widely available solution for general use. Students use them every day to help them concentrate on their studies and public transit can be a real nightmare without quality noise reduction close at hand. A good pair of noise canceling headphones, like the highly rated models from Linner, can immerse you fully in the music of your choice or just give you a moment’s reprieve from all the hectic noise of modern living. They can also keep your hearing protected during especially loud events like motorcycle rallies and airshows. When you think of the world’s noisiest jobs, you might picture airplanes landing on the tarmac or the roar of electric guitars at a stadium concert. You might not realize that a teacher’s classroom gives these loud gigs a run for their money! Classroom chatter can reach volumes of up to 85 decibels. Over an eight hour workday, that volume puts teachers at risk for serious hearing loss. Ear plugs and headphones aren’t an option for teachers, but there are ways of soundproofing the modern classroom to keep students and teachers alike safe from the harmful effects of loud chatter. Specially made fabric panels are an unobtrusive way of capturing the echoes in your classroom to reduce the overall noise level. The same fabrics can be used in classroom furniture for additional noise reduction. You wouldn’t paint in an unlit room or take a photograph with your eyes shut. Why would you play the drums with ear plugs or standard noise canceling headphones muffling and distorting the sound? Then again, drumming without ear protection puts you on the fast track to permanent hearing loss. That’s why professional drummers use special isolation headphones that deliver crisp, immediate feedback at safe levels and cut out distracting interference. They’re safer and more comfortable than ear plugs, too. At only a fraction of the cost of your drum kit, there’s really no excuse to perform without them. It’s important to protect your ears in the pool. Depending on the particular shape of your ear canals, the constant rush of water you experience while swimming could be very uncomfortable and might even lead to ear infections. What can you do if your ears are sensitive to water but your ear plugs keep sliding out? Your best choice is to upgrade to a headband designed specifically for swimmers. Headbands like the Ear Band-It will stay securely in place no matter how vigorously you’re moving through the water. By placing a custom ear mold underneath the headband, you can keep your ears totally insulated against the elements and swim in comfort. Regular noise canceling headphones leave a lot to be desired when it comes to recreational gun use. The headphones you rely on to protect your ears while hunting or practicing at a gun range shouldn’t distract you with an awkward fit. Bulk is another problem, as it might interfere with proper cheek weld. That’s why slim, comfortable noise reduction headphones like the popular Razor Slim model from Walker’s are your best choice. You should make sure your headphones also provide proper amplification for human voices so that you can communicate and stay safe while shooting.